From Acme Archives and available Exclusively from Super7! Everyone has been eager for Super7’s ALIEN merchandise, so here is something to tide you over. 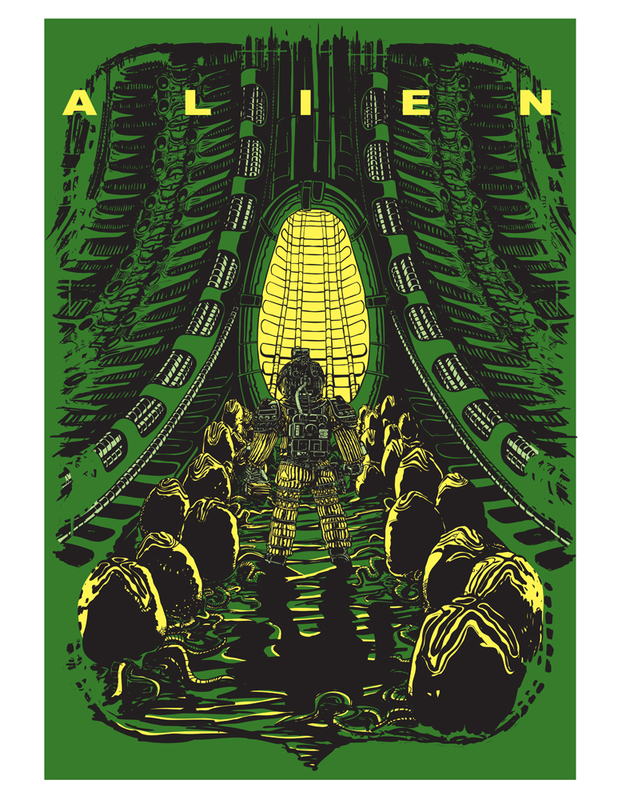 This is an exclusive green color scheme ALIEN print by illustrator Peter Ferk, presenting his interpretation of the interior egg chamber of the derelict ship from the original classic film. Measuring 17” x 22”, these silk screen prints are a Limited Edition of only 50 pieces! Each is signed by the artist and individually hand-numbered. Available NOW – limited quantities remain! Alien™ & © 2013 Twentieth Century Fox Film Corporation. All Rights Reserved.